Which ultralight manufacturer has been around for over 30 years? 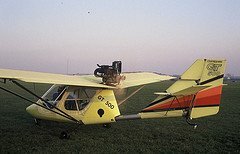 Which ultralight company and manufacturer has an outstanding safety record? Which ultralight company has manufactured over 6 different models of ultralight aircraft? 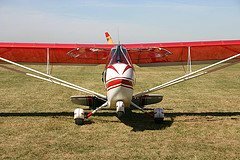 Which ultralight company are the market leaders for trainer aircraft? Well as stated you already know the answer. However if you stop and think about these very basic questions you quickly discover that Quicksilver are very serious about their ultralight aircraft! They have developed two styles of aircraft - fully open and partial or fully enclosed cockpits. 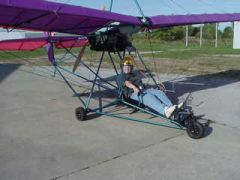 It is also believed that pilots flying for major airline companies such as United Airlines and American Airlines have taken a keen interest in this brand of ultralight. 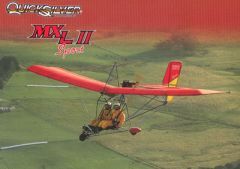 Already mentioned is the fact that Quicksilver are the proud manufacturers of more than six different models of ultralights. Added to this is the fact that Quicksilver are the world's largest supplier of trainer ultralights. That is an enviable record as no-one wants an unreliable aircraft ever. Did you know that Quicksilver have dealerships in seven countries across the world selling ultralight aircraft and parts to old and new enthusiasts. So what are the different models on offer here AND why are they so popular? There is the GT-400, the GT 400 Special Edition, the GT 500, the MXLII Sport, the Sport 2S, the MXII Sprint, the MX Sprint and the MX Sport. Okay, so have I whet your appetite enough yet? 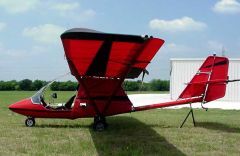 Would you love to get some more information on these fantastic ultralights for sale? All you need do is click on the link below here. Should you require the services of a Quicksilver dealer just click on the Dealer button and make your selection.